thanks to reader Bonnie for requesting this tutorial. i have had a lot of readers ask how to apply makeup for small eyes, or how to make small eyes look bigger? here is a tutorial showing you step by step how to achieve it. step 2: apply your dark shade ONLY to outside corner of eye. applying too much dark shadow can make eyes appear smaller. by applying a small amount, you still achieve a smokier look, without compromising your eyeshape. 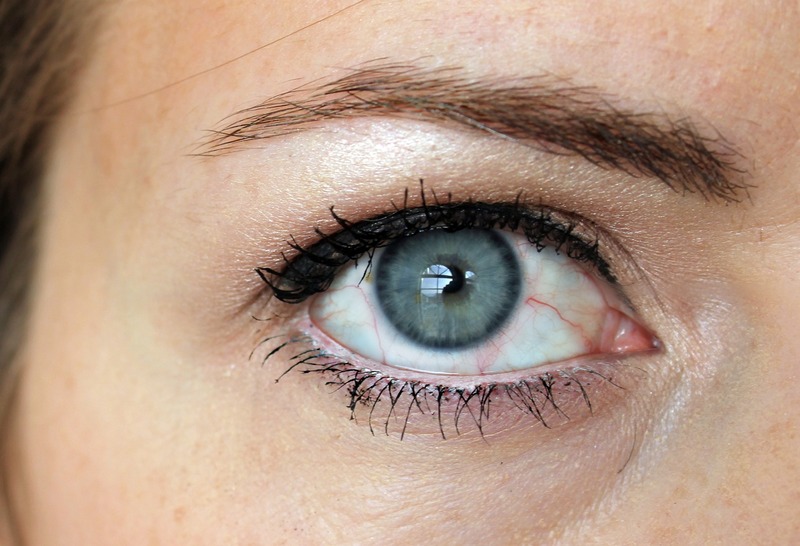 to add extra eye-opening oomph, use a white eyeliner and line the inside waterline of your eye. this will give the illusion of extra large eyes. avoid using any eyeliner on your bottom lid. Must try this soon. Love tutorials like this! Your makeup always seems to look so clean and pretty! 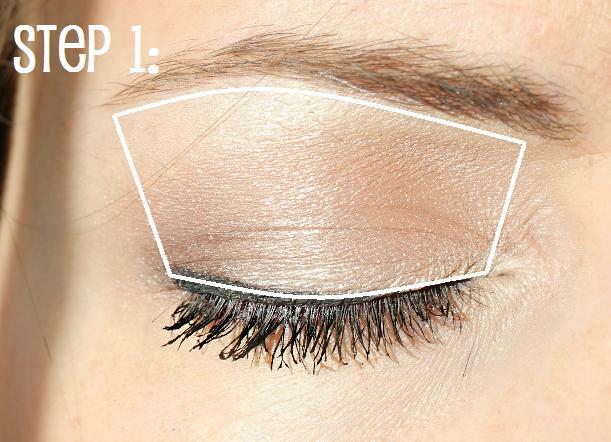 I love how detailed your tutorials are. for some reason my eye makeup tends to looks more "smudgy" or soft and not so crisp or clean. I wonder what I am doing different? I have big eyes but this is how I put on my makeup too! Is there ever a time where someone would want to achieve the look of having smaller eyes? I used to line my water line and underneath my upper lid in black and then have a thin liquid liner just above my lash line, but then it just seemed like my make up was too dark, so I don't wear it anymore. Oops, I should have clarified better, I created this tutorial for a reader who said she had small eyes that she wanted to appear larger. 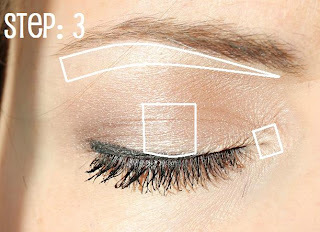 Highlighting certain areas will help your eyes appear brighter and wider, as well as key placement of your dark shade helps them to not appear smaller. I do like lining my waterline but it does create a pretty dark look, so I typically only do it when I am going for a smoky effect. Nice tutorial. The white liner is a great addition. Great tutorial! Just found your blog <3 Hope your having a beautiful day! Nice tutorial! If you like we can follow each other? I have been wanting to update my beauty routine...approaching 50 in a few years and needed a new look. So, I've been trying your eye makeup tutorial. While it's been a challenge to keep me from lining my bottom lashes with eyeliner, it does give me a more youthful, fresh departure from my usual routine. Thank for your tips. My 12 year old loves your blog, too! Hi...Nice tutorial. Thank you! I am glad you enjoyed reading this post. I am so glad I found this thank you! I had just been searching on YouTube for a video on this. I think my problem is I try to use too much dark shadow in the outer corner so will definitely be trying this tomorrow. Hello! Could you tell us what eye color brand and shade you used for the eyeshadow? Thanks!